Hey there, Ashley and Stephen! I've been following your bloggy -- I just stumbled across it recently, and love it. It's innovative and different in a place full of healthy living blogs, your stands out! (Thank you, Rowena!) I'm 26 years old . . . and I'd like to share my Healthy Living journey -- my fitspiration, if you will -- with you. At age 20, I went to Cyprus where I met my fiance. I was on a girls holiday . . . he was on a lads holiday, and we spent the 2 weeks together, totally ditched our friends and had a blast. When we got home, we kept it going, despite living 350 miles apart. During the "traveling to see each other" period, the weight crept on. 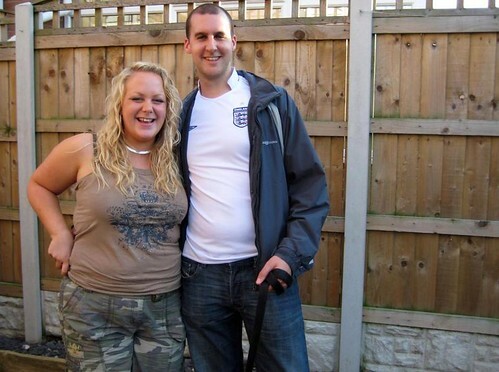 Once we moved in together, I think it's fair to say I piled weight on. This was my first "real" home as an adult and I was finding my love for being in the kitchen. I was a size 18, but still my weight/size weren't bothering me. Sure, I hated pictures of myself. They bothered me at times, but never enough to do anything about it. Then we got engaged, and it all changed: I started wedding dress shopping and realised that I didn't want to be a big bride. Nor did I want to be disappointed looking back at my wedding photos. No, I wanted to be a slim, beautiful bride. After a few months of playing at it on my own and not understanding why I wasn't losing weight, I joined a slimming class. I got off to a good start, I lost half a stone fairly quickly, and it was working well for me. Then in March last year, we had a car accident. It was a pretty bad accident, too. It saw me off work for 4 months -- badly knocked me up -- my pelvis was knocked out of line and most of my vertebrae were unaligned. I suffered huge deep tissue damage to my back, neck, upper arms and upper legs. I was in pain most of the time. I was undergoing intense physiotherapy and the doctor had me on crazy strong painkillers. Needless to say, these pills were messing with my insides and more-or-less made weight loss come to a halt. I wasn't putting weight on, but I wasn't losing it either. I still attended class but regularly ended up in tears. I'm a member of a wedding planning website . . . and the girls in the weight loss section offered their virtual shoulders for my tears on countless occasions. The doctor told me I would always be a chronic pain sufferer and I had to adapt my lifestyle to accommodate it and accept it. Perhaps some gentle yoga to increase peace in my mind, she suggested. This was an all-time low for me. But I persevered with the slimming club and my physiotherapist kept on relentlessly. 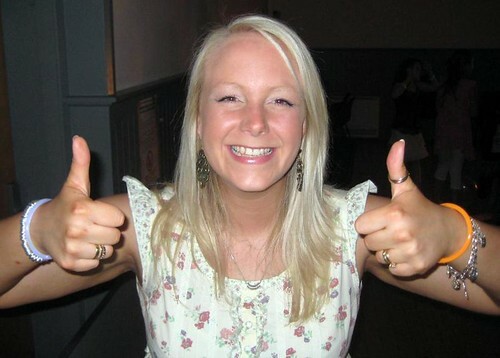 One year after the accident (March this year), she discharged me with a clean bill of health! I couldn’t believe it -- that doctor was wrong -- and if it hadn’t have been for the positivity of my family and friends and my online friends from the weight loss forum, I doubt I’d have battled through! By May this year, I lost 2 stone with the slimming club. I started to read a couple of healthy living blogs and had learned a boatload about healthy living and a clean diet. I was starting to feel like the slimming club was holding me back now, their ways and views weren’t in line with what I was learning about, a basic clean diet, so I made the leap and left the class. I started running (I’d never run before –- not even for a bus! ), following the Couch-to-5K programme. I also started calorie counting and following a clean and healthy diet. I rarely drink alcohol -- and when I do its only a couple of glasses. 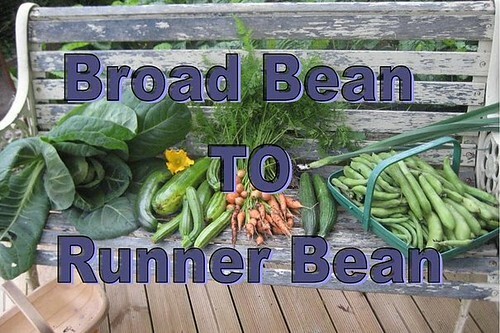 I read more and more healthy living blogs and even decided to start one of my own: http://broadbeantorunnerbean.blogspot.com/. I completed the C25K programme, and got the full on bug for fitness. I dabbled in the 30-day shred and then decided to move onto Insanity. I’m now on week 2 . . . and I love it! I feel like I wasted so much time (and the car crash wasted so much time for me, too) . . . and with now only 3 months till the wedding, I’m on full steam ahead. Months and months ago, I bought my wedding dress 3 sizes too small for me! To date I’ve lost 3 stone and I’m about an inch off fitting into it, my goal is in sight! BUT and here’s the huge BUT -– this is no longer about "the dress" or "the wedding" or "the honeymoon". Sure, these things are forefront in my mind right now, and I get pretty anxious about them on a weekly basis (the girls from my weight loss forum will second that! ), but I'm pleased to introduce you to ME! This is ME! This isn't just a phase, this isn't just a diet, this is ME! These choices for healthy food and for exercise are no longer difficult choices, there's no longer a battle going on inside of me. I’m at peace with myself and my choices, and 99 percent of the time, I make the right choice for my health. And you know what? I kinda like the healthy me! In need of some healthy fitspiration? While you're here, you can read more great stories like Rowena's -- as well as submit your own healthy living story to be featured on our site!